Sometimes a movie plot twist will catch you so off-guard (and in the kind of way that forces your brain to explode inside your head) that we forget to ask ourselves: does this actually make sense? In most cases, it doesn't, such as in The Number 23, which existed only to make Jim Carrey look like he has the worst agent in the world, or in French thriller High Tension, where a twist was thrown in at the last minute for no real reason. Yes, most movies that go down twist avenue fail to realise how dangerous such a thing can be on a narrative level. You threaten everything. Of course, when a movie twist does work, it really works, and that's where we get all those twists often considered to be... well, "the greatest twists of all time." That said, even the best ones - those etched into popular cultural as consistent talking points for movie nerds and the general population at large - might not be anywhere near as fool proof as you first imagined. And just because a movie twist is fundamentally brilliant doesn't mean that it isn't subject to flaws. 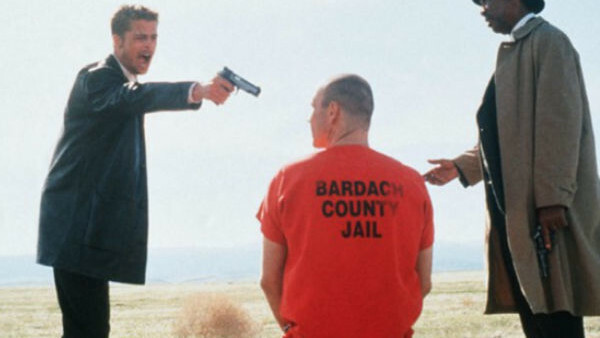 As is the case for the 8 great (and very famous) movie twists I've included on this list. Please note, there are spoilers contained within this article for a whole bunch of movies.